After several very embarrassing Google Maps hacks including Edwards Snow Den right on the White House and Android relieving itself on Apple - Google has decided to temporarily suspend the automated process behind using Map Maker to edit Google Maps. The issue is, it took these widely embarrassing and very public display of fraud going on in Google Maps for Google to do something. This has been going on for years and years. But finally, after one savvy local SEO named Bryan Seely made some extreme Google Maps edits to prove the point, Google took action. 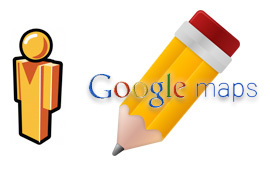 Map Maker will be temporarily unavailable for editing starting May 12, 2015. We are terribly sorry for the interruption this outage might cause to your mapping projects. Please bear with us and plan your activities suitably. As some of you know already, we have been experiencing escalated attacks to spam Google Maps over the past few months. The most recent incident was particularly troubling and unfortunate - a strong user in our community chose to go and create a large scale prank on the Map. As a consequence, we suspended auto-approval and user moderation across the globe, till we figured out ways to add more intelligent mechanisms to prevent such incidents. While this is a very difficult, short term decision, we think this will help us get to a better state faster. More importantly, we believe it is simply the right thing to do to all of you, our valued users who continue to edit with the hope that your changes might go live as fast as you've been used to. This is not an easy problem to fix, I wonder how much time it will take Google to bring this feature back. I certainly hope they don't bring it back until the loopholes are closed, if ever. Forum discussion at Google Map Maker Help.